Orange Soda is a summertime favorite around our house. We enjoy orange soda floats quite often. 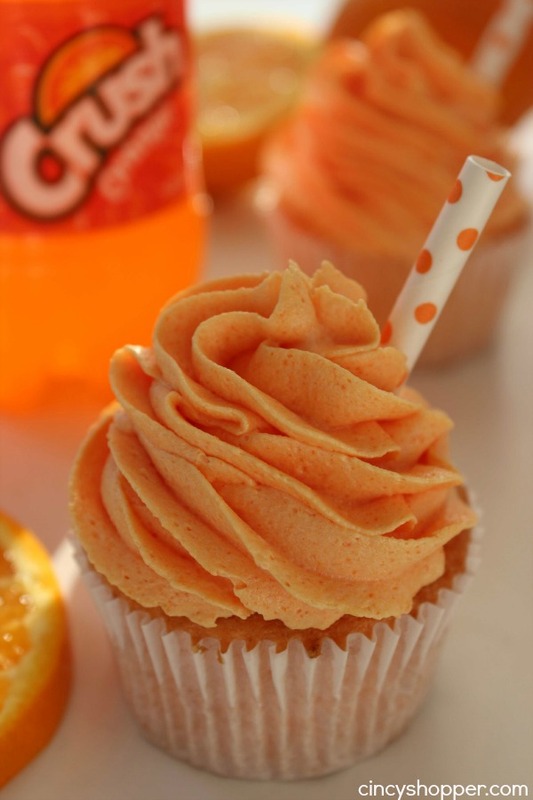 Since the kids love cupcakes, I decided we would whip them up a batch that included some orange soda. 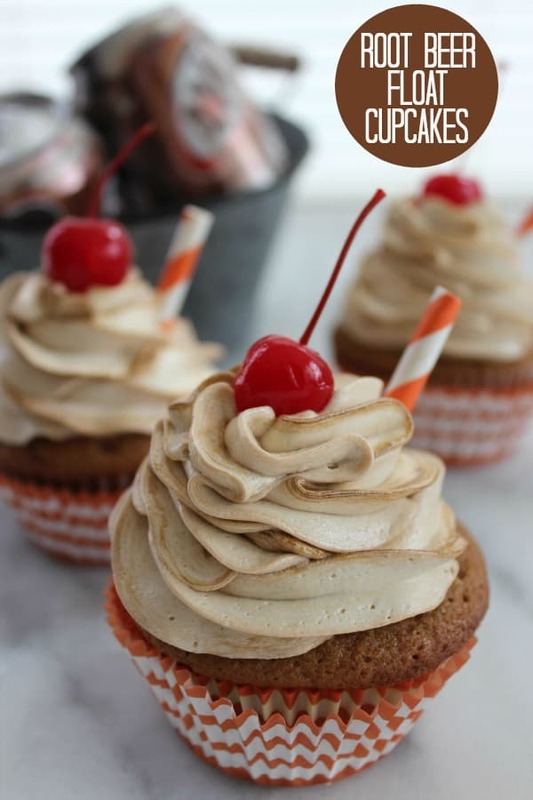 The Root Beer Float Cupcakes I made a few weeks ago were such a hit, I knew these yummy cupcakes would be too! I made our Root Beer Float Cupcakes from scratch but I was running behind the day that I made these. I needed something a bit quicker and easier so I was not late for my appointment. 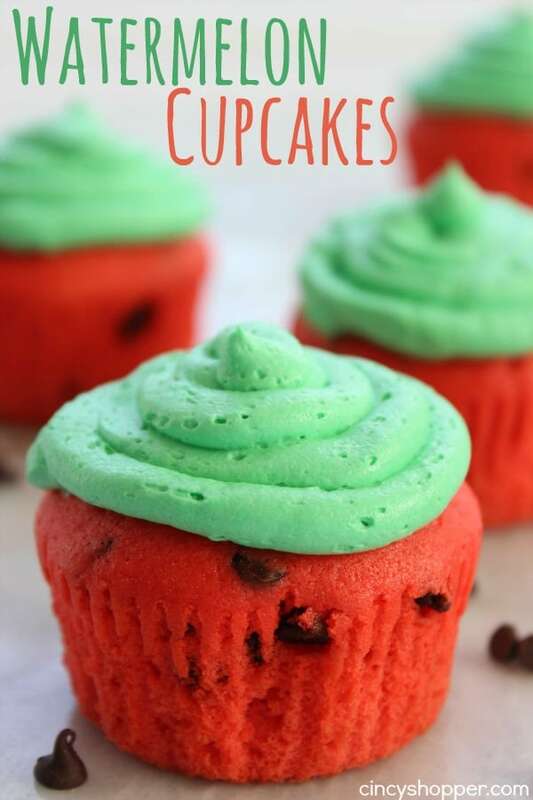 Our Watermelon Cupcakes were so simple since they too use a boxed cake mix. So quick and easy. 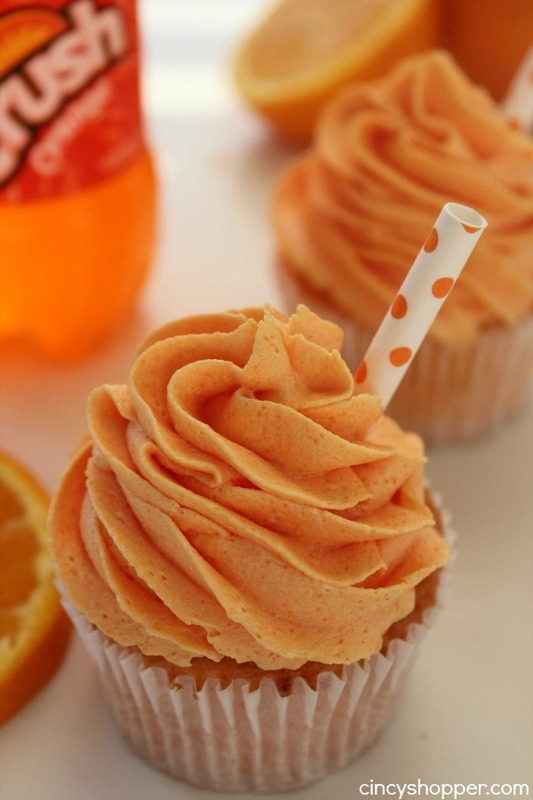 Simple doctored cupcakes are sometimes a pure lifesaver. Convenience foods are just needed sometimes, ha ha. Our world has become so fast paced and I have to admit I am a victim of it most of the time. Ok, back to the cupcakes. These are so simple! 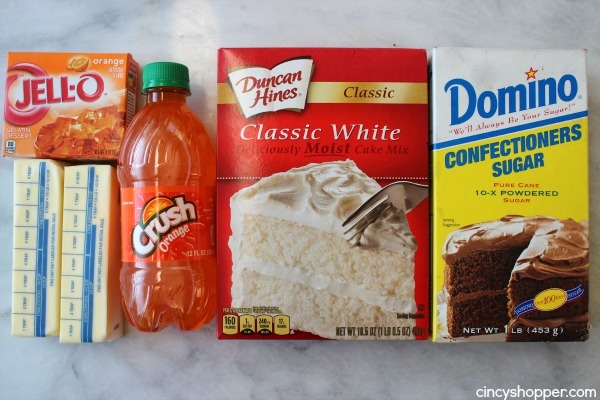 You will just need a boxed cake mix, orange Jell-O, orange soda and some pantry staples. They come together very quickly. 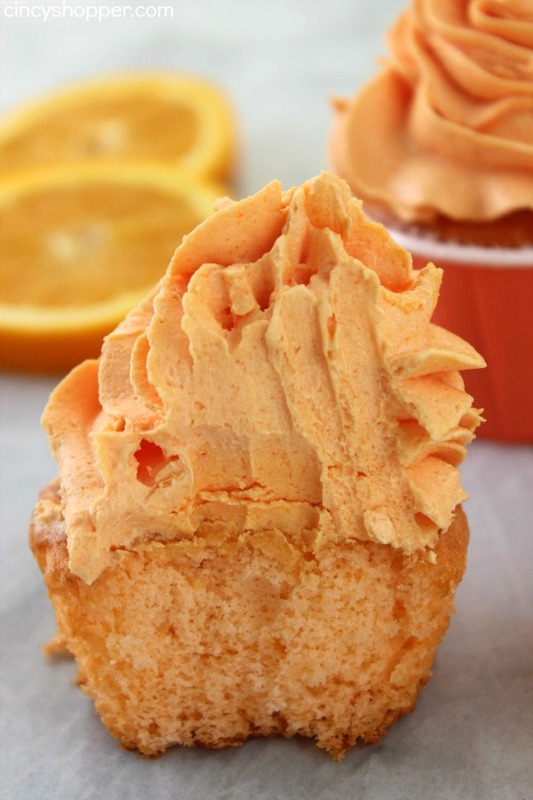 Combine cake mix, egg whites vegetable oil, gelatin mix and orange soda. Fill liners 2/3 full and bake 18 minutes or until toothpick inserted in middle comes out clean. Whip butter and gelatin powder until fluffy. Add orange soda until you reach desired consistency. Transfer to piping bag and frost each cupcake. 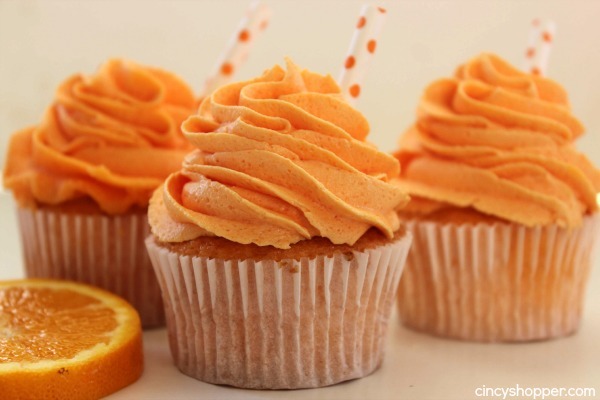 Do you have a favorite summer time cupcake? These tasted really good! The cupcakes and icing did not look as orange in color though. The icing was pretty sweet as well. Can’t wait to try them. 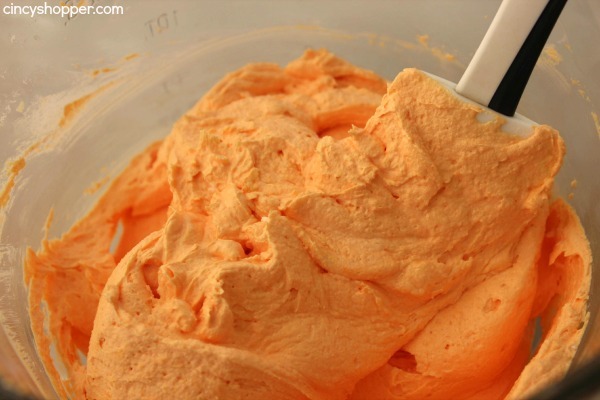 Did you use food coloring in frosting? I have made these 3 times! They are delicious. The third time I made them I did half orange juice and half soda. I wanted a stronger orange taste. I made over 150 for a church celebration!! They were a hit. I needed a bright orange color and so I added 20 drops of orange food coloring gel. Thanks so much for sharing this amazing recipe! Mine were extremely dry and very little orange taste. Very disappointed. My pet peeve is when people leave comments like “These look amazing” and “Can’t wait to try them.” I read the comment section because I want to know how they turned out when real people have followed the recipe, in their own kitchens. Having gotten that off my chest, I ACTUALLY DID make these, and they turned out very good! The cupcakes are light and fluffy! The frosting is a bit sweet, but it is mostly powdered sugar, so what do you expect? I read a review that said theirs turned out extremely dry. I don’t know what they did wrong, but I did not have the same experience. 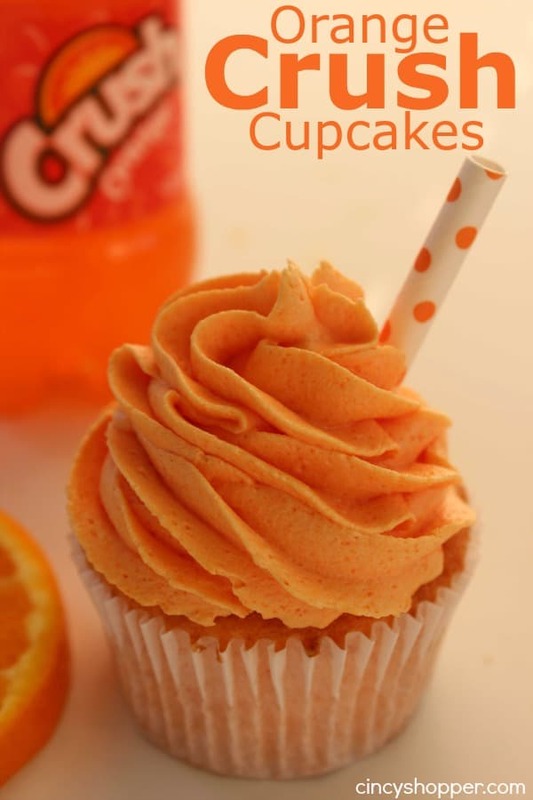 They are not extremely orangey, but you can still taste it a bit. I’m saving this recipe! 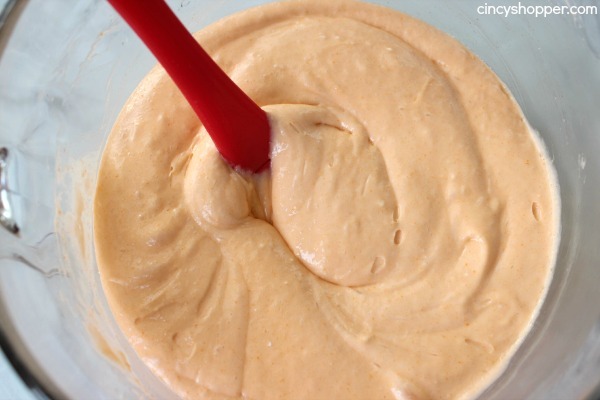 Adding a pinch of salt to the frosting will take away some of the sweet taste. 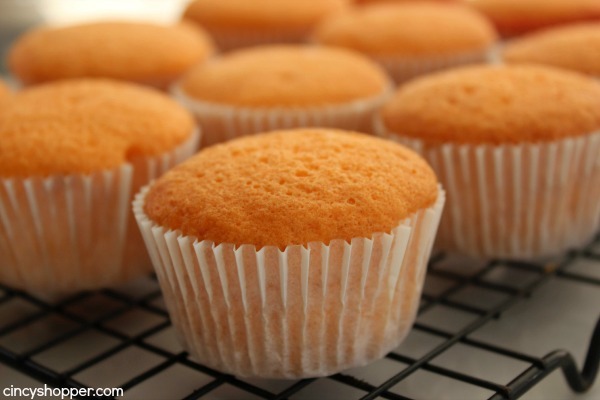 Just a hint for high altitude bakers..fill the cups a little less than the usual 2/3. I think the sofa makes them rise more at higher altitudes. I have used a little orange extract. The watermelon cupcake made a lot of success here at home, the kids loved it. I’ll have to do more. It’s always nice to state how many the recipe makes. Some make 12, 18 or 24. I got 22 out of this one. I State this because you changed up the ingredients. How will this do as a regular cake instead of just cupcakes? Have you ever done so? Can I use a cake pan instead? I made these today. They were moist and good flavour, but I would agree that next time I would use orange juice to flavour the cake instead of orange crush. I also added orange extract to both cake and icing. These are beautiful in color. Where did u get the little orange straws?